Start 'em young. No joke, people. 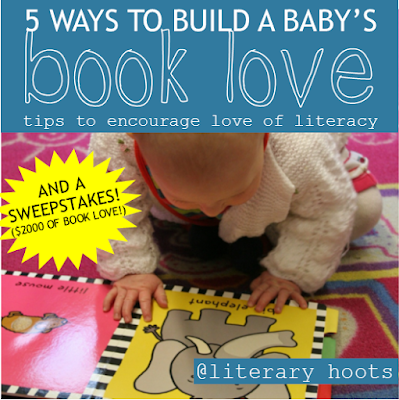 Of course you can encourage a love for literature at any time or age! But why not start right away? I must admit after having a baby that my job as a children's librarian became that much more exciting. It's so much cuter to have a picture book reading buddy. So here are some ways that parents can help their newest additions and librarians can help their youngest patrons build a love for reading. Did I mention read? 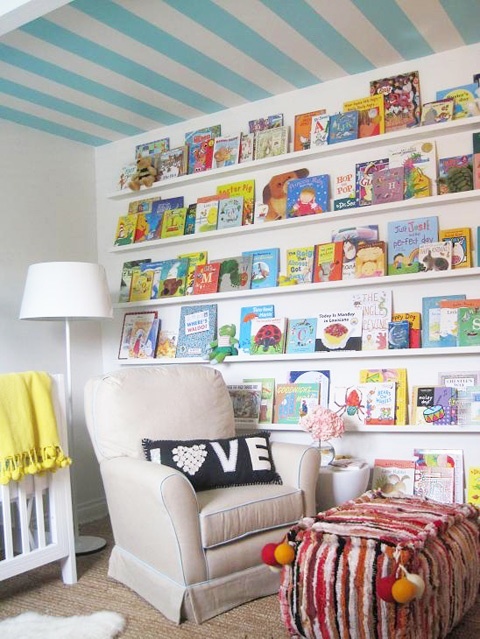 If you somehow didn't already know, reading to a child from birth (yes, as in from day 1!) is recommended by the American Academy of Pediatrics. Reading to your child is SO beneficial. Besides building a love for books, it builds language skills, vocabulary, social skills, emotion recognition, school readiness, and—everything. It builds everything. All during the most critical developmental period in your child's life. Did I mention read?! Here, read this NY Times article and this Urban Child Institute article and this National Institute for Literacy booklet, too. Just to reemphasize what I'm saying. And to get some very helpful tips! So, that being said, now I say this: Baby Storytime. 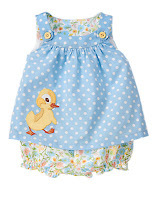 Besides books, there's fun songs and rhymes and games all to help your child develop. If you're a librarian and this is not at your library, start it now. 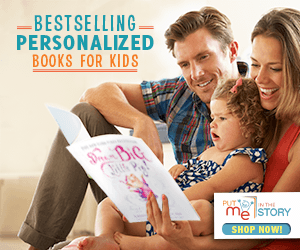 If you're a parent and there's storytime at your library, you should go! It's time you need out of the house (ohmygoodness adult interaction is a priceless commodity, am I right?) and time your child needs to build that love for the library. Besides, of course, the other social and educational benefits of reading and singing and playing in a group. See what I'm saying? Even if it's books that you've checked out from the library! Having books and reading materials readily available encourages babies to familiarize themselves with them. 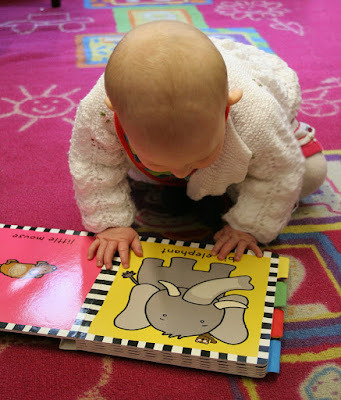 Especially board books—as babies get older, they'll be able to explore the books themselves: grabbing, holding, turning pages, and (yes) eating. But hey, if there's one thing I've learned, baby drool is a sign of true love. Yes, there is even book-based clothing. 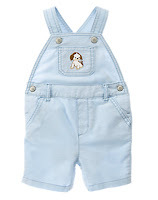 Check out Gymboree's new Little Golden Books clothing line. 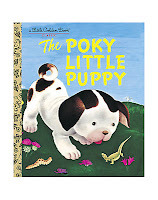 I mean, just look at the Poky Little Puppy!! GAH! I know, I know, now it just sounds like I'm telling you to bombard babies with books. Well, in a way...I am. I want every parent and librarian and person who associates with children to start that love of books as soon as possible. 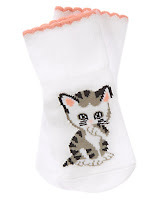 If not for the genuine developmental benefits, then for the freakin' adorable Shy Little Kitten socks! 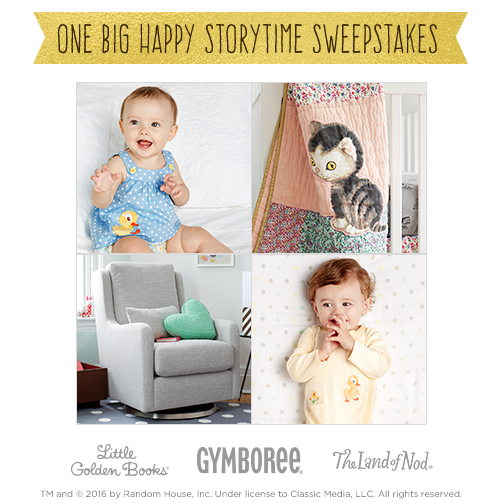 And to help with those last two suggestions, Gymboree and Land of Nod are actually teaming up their Little Golden Books collections for an awesome sweepstakes with more than $2000 in prizes. I admit it, I entered. I really am trying to bombard my baby with books. As the child of a librarian, I would hope she'd expect nothing less! 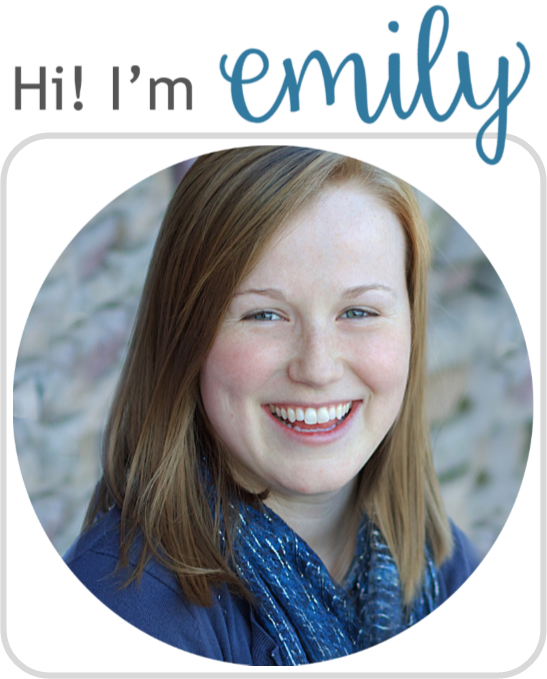 You can enter, too—click the picture and all you put in is your name and email. Easy peasy. Ends February 29th. In the meantime, don't forget to read to your baby! Of course.